Fritz Walter Bischoff’s 1928 Hörspiel Hallo! Hier Welle Erdball! was one of the greatest of the Weimar Republic, and set the standard for the Neue Sachlichkeit style of reportage. Unlike most other Hörspiele, which were produced live, Hallo! Hier Welle Erdball! made use of edited material, making it a sort of forerunner of “quality” podcasts like This American Life, Radiolab, or 99% Invisible. Walther Ruttmann adopted a similar editing procedure in his more abstract Weekend (1930), but I still prefer Hallo! Hier Welle Erdball!‘s strangeness. Hopefully I’ll be able to get my hands on a copy at some point. For now, here’s an excerpt from Irmela Schneider’s still essential Radio-Kultur in der Weimarer Republik (p. 124), followed by my own translation. 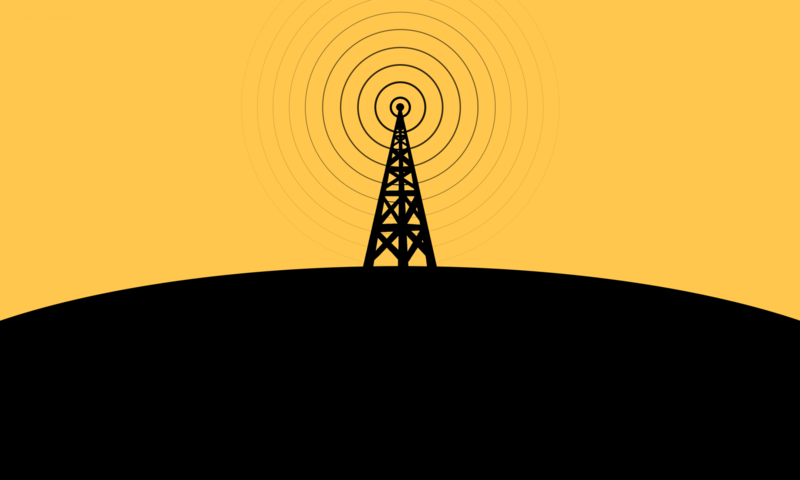 In the excerpt, the announcer presents the globalizing effects of radio as a “symphony of time” and a “symphony of space” through an imagined phone call from the “earth station” to radio listeners. Hallo! Hier Welle Erdball! Symphonie der Zeit! aus dem Äther schwingt sie, schwillt sie und donnert heran. aber Euch, die ihr hört, geht es an. es klingt vorüber, zuckt auf Blitz um Blitz. Bitte suchen Sie nicht nach Zusammenhängen. aus dem zweiten kein Lustspiel, aus dem dritten kein rührsam Gedicht. Empfangen Sie bitte das ganz wie einen Zeitungsbericht. der Erdball meldet sich! Symphonie der WeIt! ruhlos dreht sich die Erde im Kreise. Maschinen rasen! Das Telephon schrillt! Gut so! Wir fangen an! Allesam Ort? Hallo! Hier Welle Erdballl Wer dort? vibrates out of the ether, shrills, and thunders on. it’s about you, the listeners. human destinies flashing up and fading away. all sound around, one flash after another. Please don’t look for any connections. no comedy from the second; no moving poem from the the third. Please receive this just like a newspaper report. the earth answers the call! Symphony of the world! the earth turns without rest. Machines at full tilt! The telephone rings! Alright then! Let’s begin! Everyone there?